We've made it through Black Friday and Cyber Monday, and now it's time to participate in a more selfless type of shopping holiday: Giving Tuesday. Created in 2012 by the United Nations Foundation and New York’s 92nd Street Y, Giving Tuesday is described on its official website as "a movement that celebrates and supports giving and philanthropy with events throughout the year and a growing catalog of resources." If you're one of the many people disappointed with Election Day's results, this is the perfect day to start doing something proactive. Donating to progressive nonprofits on Giving Tuesday is a great way of challenging Donald Trump's worrisome presidential plans, and making a difference. The President-elect's misinformed views on women's reproductive rights, sexual assault, climate change, immigration, gun control, Islam, police brutality, taxes, the media, and freedom of speech mean that organizations dedicated to fighting for equality and for a healthy planet have more work to do than ever. And this means they need the public's support to be stronger than ever before. Whether it's through monetary donations or through volunteer work, these groups need all the help they can get. Hillary Clinton lost the presidential race, but there are still plenty of progressive, intelligent women running for public office in Congress and in their local communities. Emily's List supports these legislators by giving them much-needed funding during their campaigns. Trump and his running mate, Mike Pence, repeatedly promised their supporters to outlaw abortion and overturn Roe v. Wade if they ever made it to the White House. Organizations like the CFRR have never been more vital. Another great pro-choice nonprofit that could use your help. This group's mission statement: "The Nature Conservancy is the leading conservation organization working around the world to protect ecologically important lands and waters for nature and people. We address the most pressing conservation threats at the largest scale." With a staff composed of hundreds of scientists, this is exactly the kind of work that needs to supported under a presidency led by a climate change denier. The Immigration Council conducts research and analyses regarding U.S. immigration laws and the immigrant population. They work to educate the American public about how the immigration process works and to dispel myths. Their page "Why Don't They Just Get In Line?" — which breaks down the reasons it's not so simple to become a permanent resident or citizen —is one example of the fantastic information they provide. This nonprofit strives to end sexual assault on college campuses by training school administrators and professors on how to handle sexual assault reports. The organization also assists victims by helping them file court cases and providing a support network. After the normalization of sexual harassment and assault during the election, this kind of group should definitely be on your radar. While Trump has stated the intention to uphold marriage equality on a federal scale, his election victory has already sparked homophobic hate crimes. 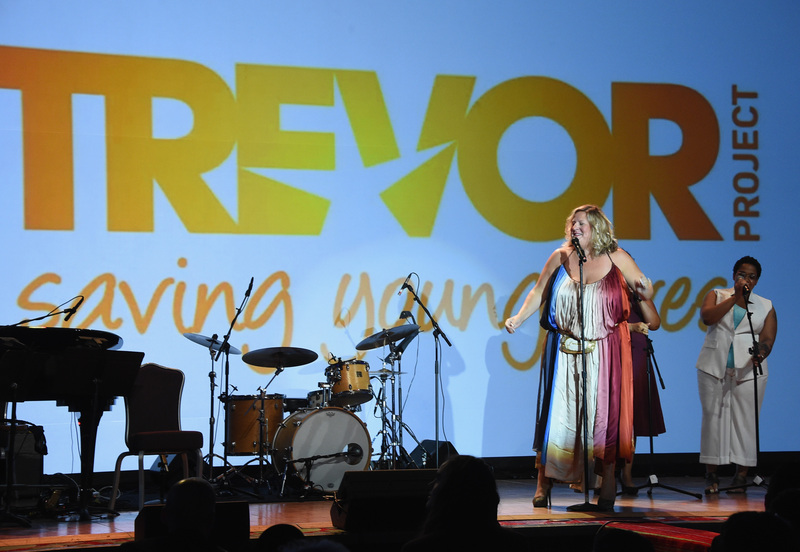 The Trevor Project, which works to prevent suicides within the LGBTQ community, will be vital in combating any increased hatred in the years to come. CAIR's work is focused on enhancing "understanding of Islam, encourage dialogue, protect civil liberties, empower American Muslims, and build coalitions that promote justice and mutual understanding." Given Trump's proposal of banning all Muslims from entering the United States, there certainly is a need for a better understanding of Islam. INARA's mission is to provide medical aid for children in war-torn conflict zones; they currently focus on Syrian refugees. If Trump insists on making it difficult to help these refugees, donating to an organization that can provide help is a good way of taking action. Choosing any of these organizations is a step toward preserving progressive values in America.